The celebration of Navratri in Indian context is purely spiritual. It is celebrated in the context of the believe that goddess Adi Shakti took the beautiful form of Goddess Durga. This form was taken to bring an end of the Demon or Asura known as Mahishasura. As per the mythology, it is said that Mahishasura had a boon from Lord Brahma, that his end would now come in the hands of any male individuals or masculine form of divine incarnation. In other word no God can sly him to bring his end. Considering his dedication, lord Brahma had no other option but to bless him with the desired boon. This made Mahishasura lead a life in misconception that he is always invincible. Later, he kept harassing the Dev-Lok (aboard of lord Indra) and took the same by force. Considering the havoc created by the Asura, lord Indra and his team offered their prayers to goddess Adi-Shakti. Further, looking at their dedication, Goddess Adi-Shakti agreed to help the side of divinity. Thus, the celebration of Navratri is done in the month of Ashvin (October) of every year. Navratri date and time 2018 start on 10th October 2018 after 9:18 AM. This is the Navratri 2018 date in India. Other regions would have to check the dates accordingly. It was hear, that Goddess Shakti took the beautiful form of Goddess Durga and decided to bring an end to Mahishasura’s end. It is believed that, the battel that brought and end of Mahishasura lasted for 9 days. Therefore, it is due to this reason, goddess Durga is worshiped in different forms on all the nine days. Accordingly, the goddess in worshiped as Goddess Katyayani Mata on the 6th day of the Navratri. Who is Goddess Katyayani Mata? Maa Katyayani has 3 eyes and 4 hands. She holds a sword in Her one left-hand and a lotus in another. The other 2 hands respectively show protecting and allowing actions. If you make vow of fasting and worshipping her, she would bless you with the husband you have wished and prayed for. 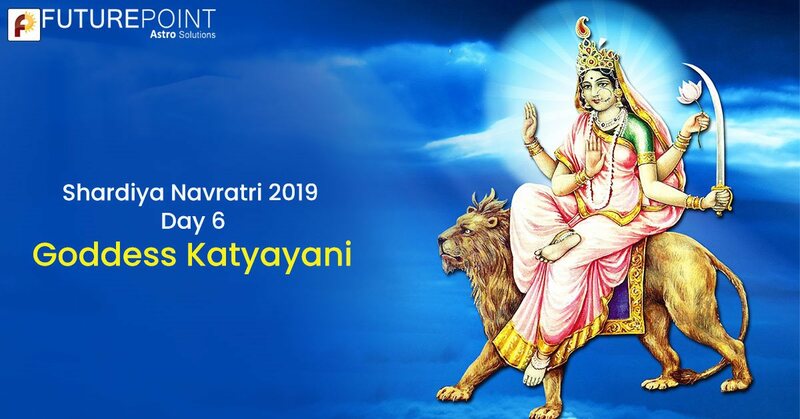 If a lady's marriage is getting delayed due to one or the other reason, she may worship Maa Katyayani to remove all obstacles that may be causing delays in her marriage. 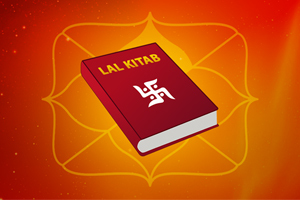 How to worship Mother Katyayani? This should be followed on the 7th day of Navratri. This would bring much improvement in one’s life. - During the twilight, we should worship the goddess by wearing yellow or red clothes. - Burn the lamp in front of Katyayani Mata. - Offer them yellow flowers and honey is special auspicious. - After this, offer 3 tbsp turmeric powder. - After this, chant their mantras in front of Mata Katyayani. 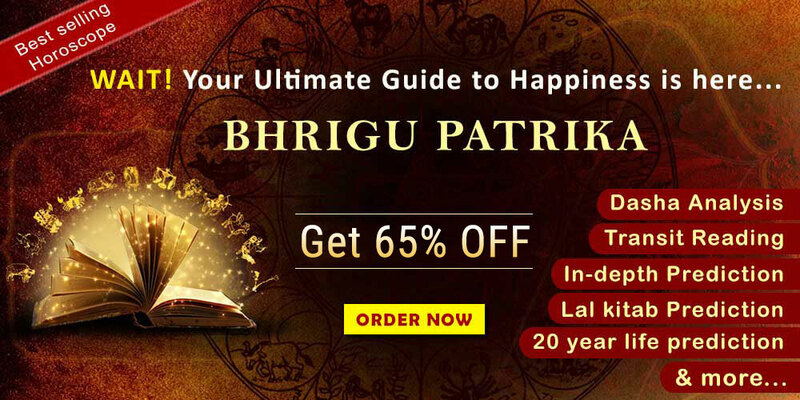 This Vidhi is very much important to those offering, puja for getting a desired life partner. Also, this puja would end any un due delay in a native’s life. 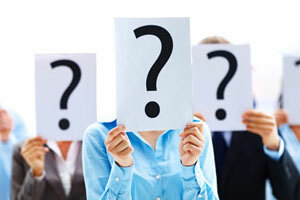 In fact, for readers who want to solve their complex problems in life and want solutions in any walk of their life can visit our website www.futurepointindia.com or write to us at mail@futurepointindia.com. You can consult as of any complex problem being faced in you life. 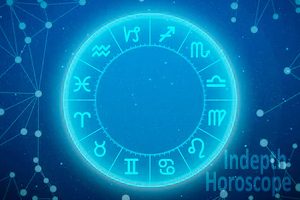 We at Future Point have been practising Jyotish Vidya for the past three decades.